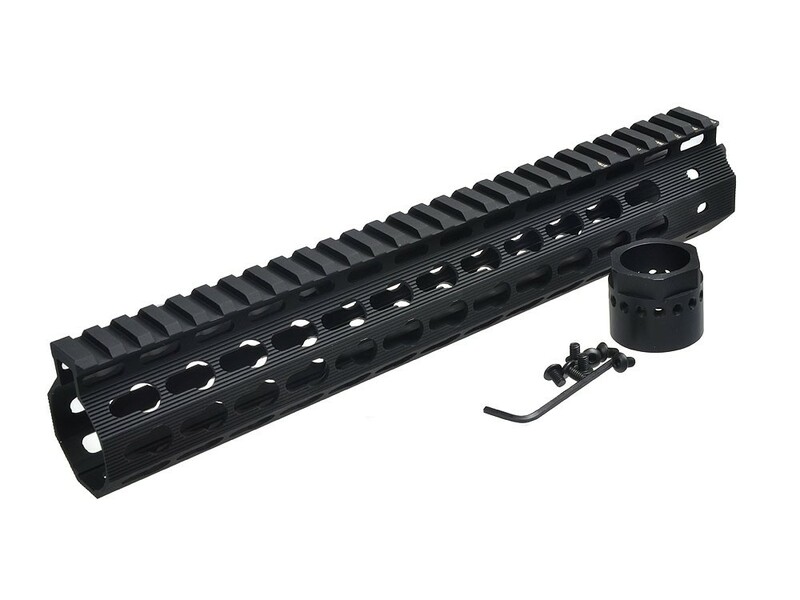 The Strike Industries Mega Fins hand guard rail is an ultra light weight handguard rail with a plethora of features. Our Mega Fins rail is named after the "fins" in the interior of the rails that aid in dissipating heat from the barrel. The Mega Fins features a full 7 sided (heptagonal) Keymod system which allows for maximum modularity in rail placement. We’ve taken every step to insure our hand guard is ergonomic and supremely light weight without sacrificing durability or quality.